standard and special sizes, and two heights. 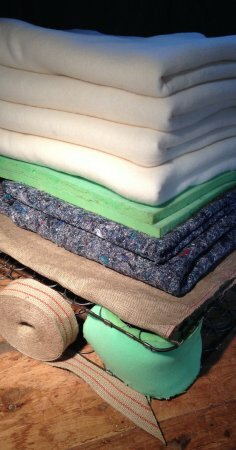 Four (4) x 350 g/m lapper wool pads. Two (2) 1''- 25 mm premium foam sheets. 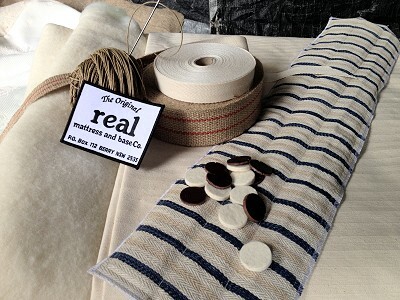 100% natural cotton herringbone twill. 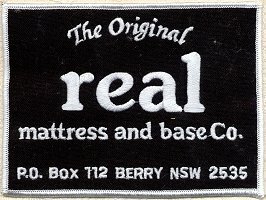 Contrasting quilted foam border & embroided label. First quality felt or leather tufts. 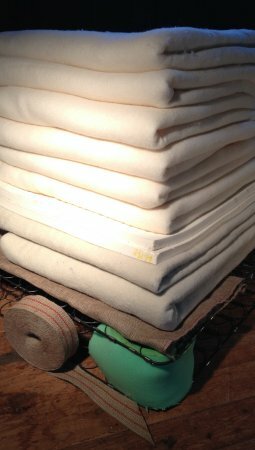 Six (6) x 350 g/m lapper wool pads. 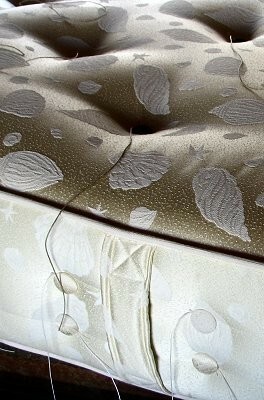 Two (2) 1''- 25 mm natural latex sheets. Two (2) needled wool insulation pads. 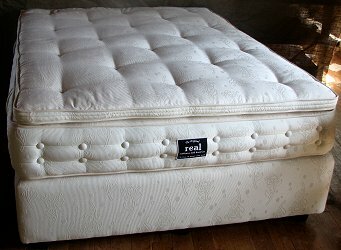 A limited edition mattress in damask and queen size only. - the ultimate sleeping combination. Eight (8) x 350 g/m lapper wool pads*. Two (2) hemp insulation pads. * Three full pads, the fourth pad cut and mitred in three centre sections, see below. 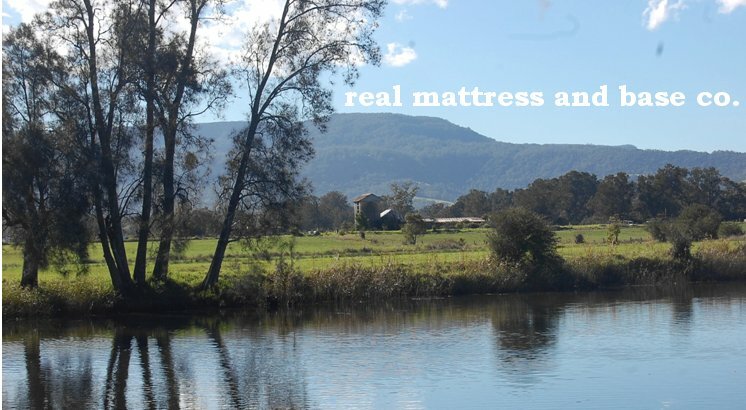 An economy range of small mattresses that do not have daily use - vacation lodges, spare beds, caravans, motor homes, etc. As such, components and construction are variable and quotation with consultation. *Australian residents, add 10% GST, delivery fees apply. in cotton-polyester damask (not shown). 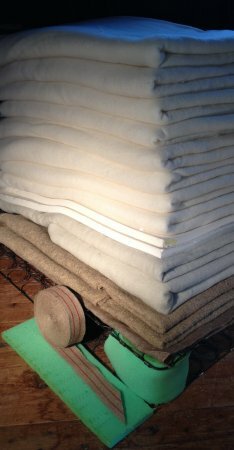 Foam free, 100% natural cotton cover. Metric: 660 mm x 1270 mm. x 135 mm. 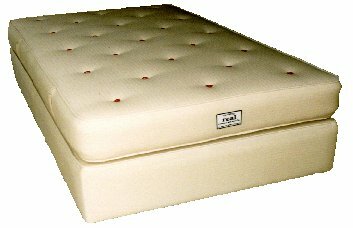 Imperial: 4 ft 2 in. x 2ft 2in. x 5in. All products are packed in heavy weight plastic before delivery, double plastic packed for second-party freight agents or on request. 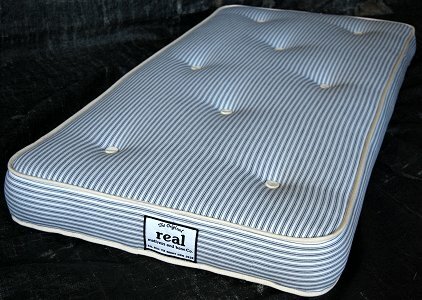 Companion bases and topper overlays are available for all real mattresses.